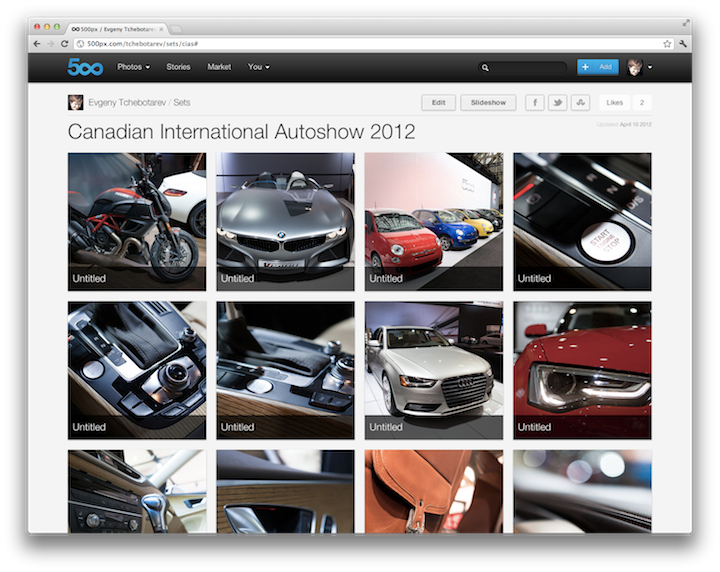 Awhile back, I wrote about 500px, the "new" hot site in the photo sharing market. 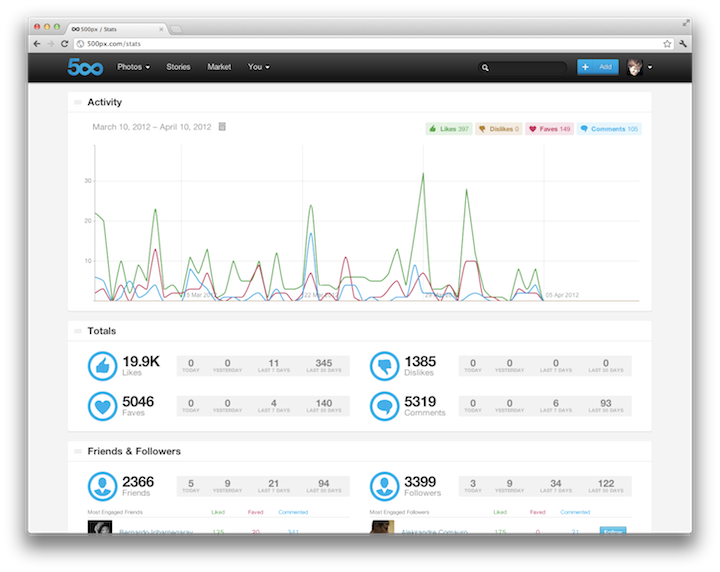 Today they announced that they've added new features to their site, Sets and Analytics. If you've used Flickr or other photo sharing sites, you'll be familiar with the concept of Sets. Essentially, they're photos that are related to a given theme. Here are some example sets from Evgeny Tchebotarev, the COO and co-founder of 500px. Using Sets on 500px seems to be a bit more complicated than necessary right now. To create a set, you'll need to go into your profile and select Sets, and then Edit. Hopefully they'll stream-line the process in the future. To get access to Sets and Analytics, you'll need either a new Plus membership ($19.95/year), or an Awesome membership ($49.95/year). The Awesome memberships also get a custom domain and Google Analytics (though Google Analytics seems like it might be overkill when already have the 500px analytics). One other change that users have noticed but hasn't been announced officially yet is that Free users will now only be able to upload 10 pics per week. Plus and Awesome members have unlimited photo uploads.